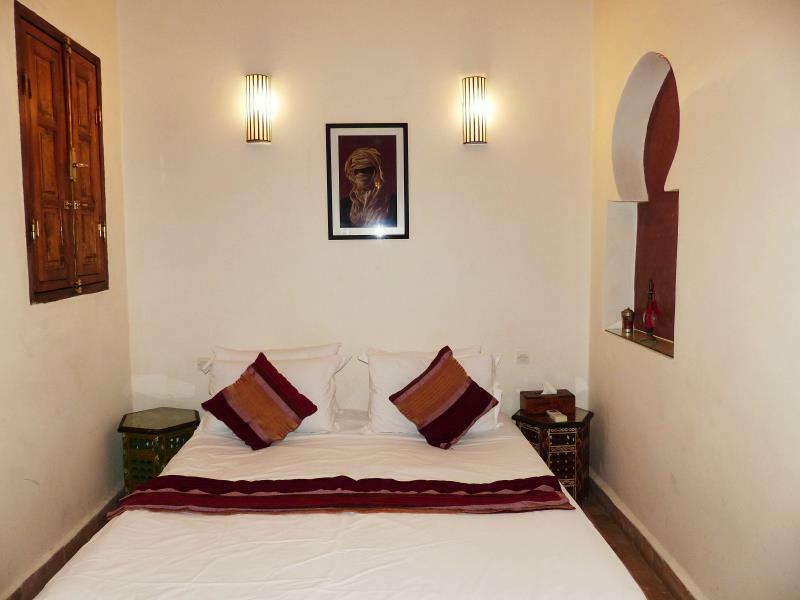 ﻿ Riad Jonan Marrakech. JIMAT di Agoda.com! Ada soalan mengenai Riad Jonan? Terletak di kawasan yang indah di Medina, Riad Jonan menikmati posisi megah di hab siar-siar, beli-belah, budaya di tengah-tengah Marrakech. Terletak hanya 0.0 Km dari pusat bandar, para tetamu berada di lokasi sesuai untuk menikmati tarikan dan aktiviti di sekitar bandar. Juga terletak berdekatan adalah Complexe d'Artisanat, Kasbah Artisanat, Spa Sultana. Kemudahan dan perkhidmatan yang disediakan oleh Riad Jonan memastikan penginapan yang menyenangkan bagi para tetamu. Wi-Fi percuma semua bilik, Wi-Fi di tempat awam, khidmat bilik, pengangkutan lapangan terbang, restoran merupakan beberapa kemudahan yang membezakan Riad Jonan daripada hotel-hotel lain di bandar. Hotel-hotel telah direka demi keselesaan dan memudahkan tetamu. Sebahagian bilik menyediakan televisyen skrin rata, selipar, internet wayarles, internet wayarles (percuma), bilik larangan merokok. Di samping itu, pihak hotel menawarkan aktiviti rekreasi untuk memastikan anda mempunyai perkara untuk dilakukan sepanjang penginapan anda. Apa juga tujuan lawatan, Riad Jonan merupakan pilihan yang terbaik bagi penginapan anda di Marrakech. Then staff, particularly Hassan and Abdul, were always courteous, friendly and helpful. Good location, friendly staff, clean and comfortable room. Have had a very enjoyable stay. I like the location close to the old part of town. The staff are very helpful and friendly, the room is quite small but there is a roof top area which is nice to relax along with a number of lounges. The rooms are very clean and the bed comfortable which makes for a good nights sleep. A/C works well in the room. The internet work well. Breakfast is satisfactory, if you require dinner this needs to be ordered in advance. 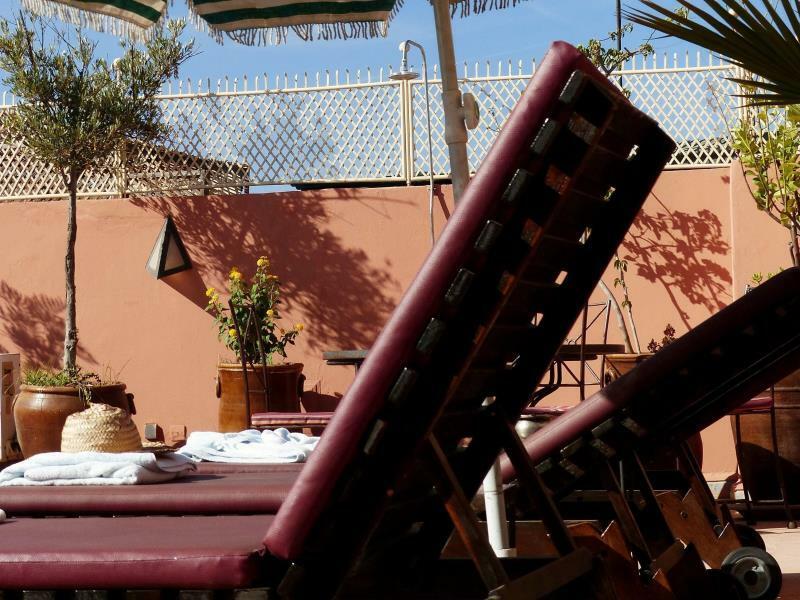 There are a number of good eating places within easy walking distance to the Riad and the staff will give good advice on where to eat and prices. Overall an enjoyable stay, good value and I will be coming back. Staff very helpful. Made to feel welcome. Nothing too much trouble for staff. Very protective of us. Very safe location. >The riad has drainage problem, so the rooms are musty, and some are stinky! >The food is not something you can call good! One's first impression that this riad is not good, is diminished once you meet the owners, Martin and Howard! They are so lovable and accomodating. Their staff are all so nice. They are always smiling and would go out of their way to please their guests. >LOCATION. just about 100 meters from one of the main entrances of the medina. So you can't get lost. And less that 1 kilometer to Jemaa al Fina >SHOPPING for souvenirs. Its located slightly off the main street, Rue dela KasbaH where some nice shops are located. No need to go to the souk. >THE OWNERS are very nice and accomodating. They give you what you request for if they can. >The staff are always smiling, respectful and give good service. >The rooms are not quite as we expected them to be. There seems to be a drainage problem, so it seeps into the room from the toilet drain. Particularly the master's suite in the ground floor where my friend and her son stayed. >Food is not something one can say good! The breakfast is the same everyday! They don't even know how to cook a 3 minute egg! We had to teach the staff. We arrived in Riad Jonan at 8 pm, and hungry. The menu was limited to spaghetti, and chili con carne,which turned out to taste the same.Then, when we were showed our rooms, we were a bit dissappointed as they were musty and one room in the ground floor was stinky! Although, the night manager gave us candles and air freshener, the stench of sewage was not removed! This impression, was changed a bit in the morning. First breakfast was served in the roof deck, which was sunny and nice! Then, Martin, the owner, came to greet us and said he will help us with our itinerary. Then Howard came and facilitated everything for the rest of the 3 other days were were there. So actually, I think, the main strenght of this Riad are the very nice owners and the smiling/accomodating staff. 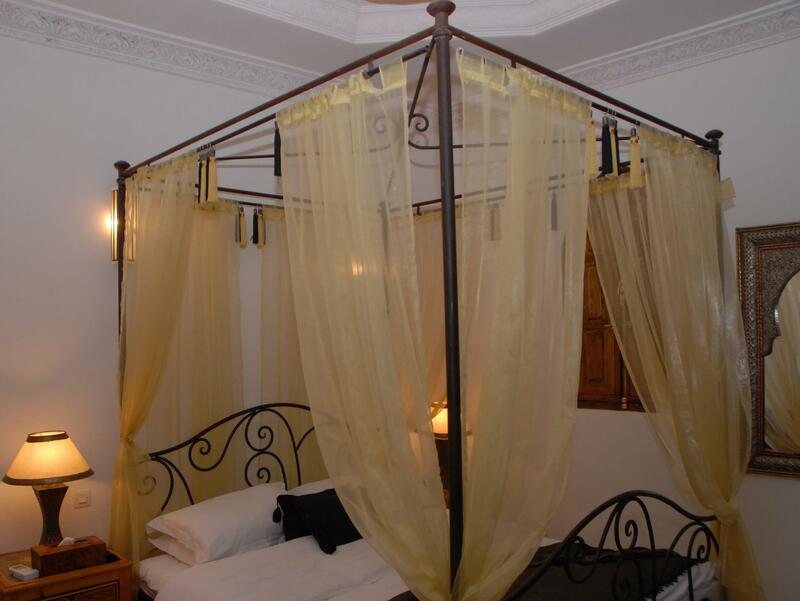 The Riad, I can't compare as this is my first experience staying in one!